Wash and drain bok choy. 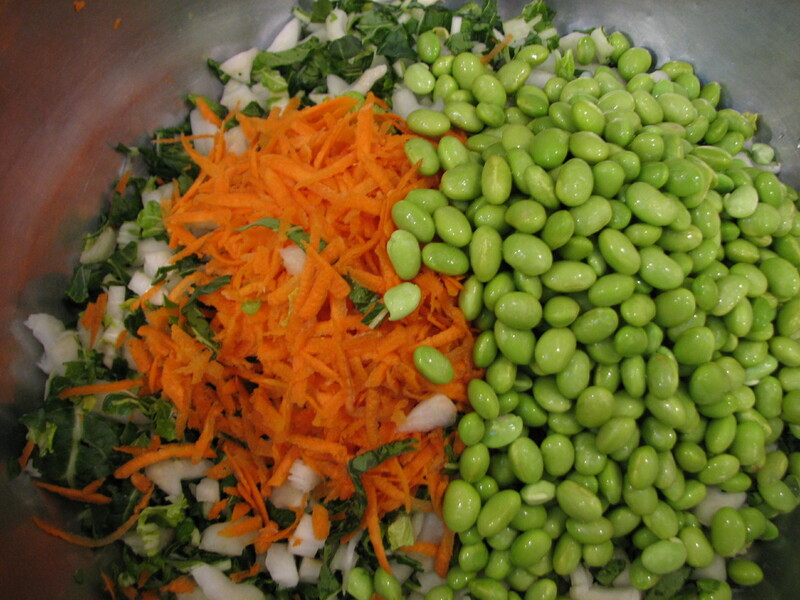 In a bowl, combine slivered bok choy, onion, shredded carrot, soy beans. Place mint, cilantro salt pepper, rice wine vinegar, sugar, mustard and garlic in a blender and puree. Just before serving pour over bok choy and toss ingredients. Dressing the salad at the last minute will keep it nice and crunchy. More recipes at http://www.isimmer.com on the recipe page. This entry was posted in Uncategorized and tagged all content is copyright for publication, bok choy, bok choy salad with mint, center for advanced study in the behavioral sciences, chef@isimmer, chef@isimmer.com, crunchy, mint, recipe, refreshing, salad, side dish, Susan Beach, vegan, vegan salad. Bookmark the permalink. Unique idea. I wonder, how much time it took him.